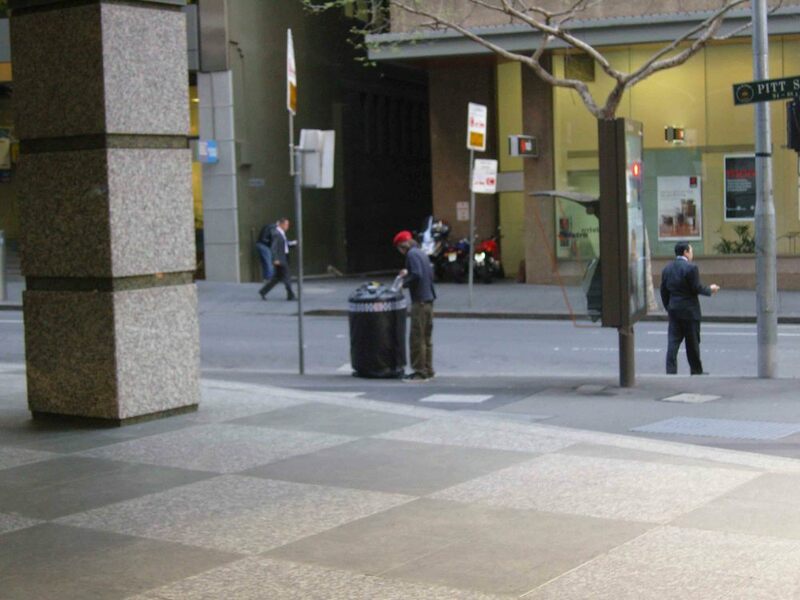 The works in Panoply were made around the time of the APEC summit in Sydney, and respond to the temporary security measures in place and the stringent displays of power in Sydney at that time. Images captured on the streets during the summit embody the atmosphere and altered geography it invoked. There are also several works in marble, most notably the large-scale Barrier, a replica of the temporary barriers erected for APEC, cutting the gallery in two; and Standing Manikin Target, a marble rendering of the test dummies used in police and military training. 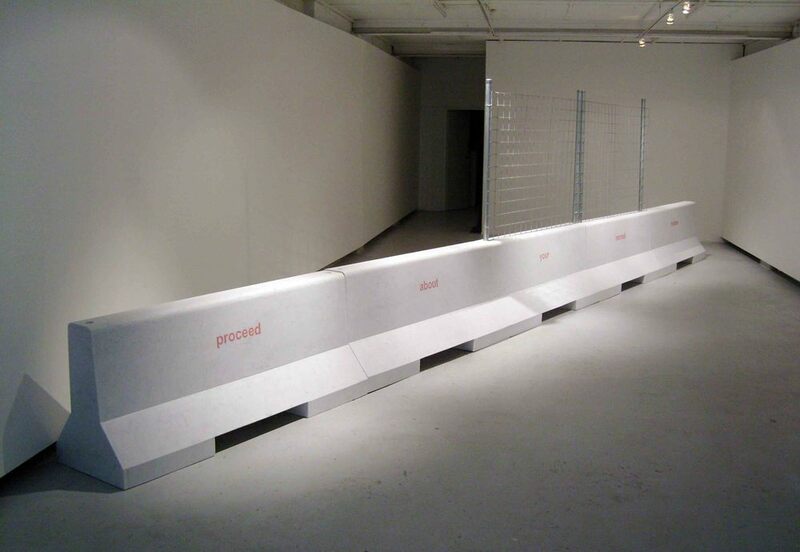 Barrier (proceed about your normal routine), 2007, white marble, 75x56.5x185cm each. Standing Manikin Target, 2007, marble, 32x48x200cm. Please do not lick the Artwork, 2007, white marble and resin, ed. 6 of each colour, 26x10x9cm. 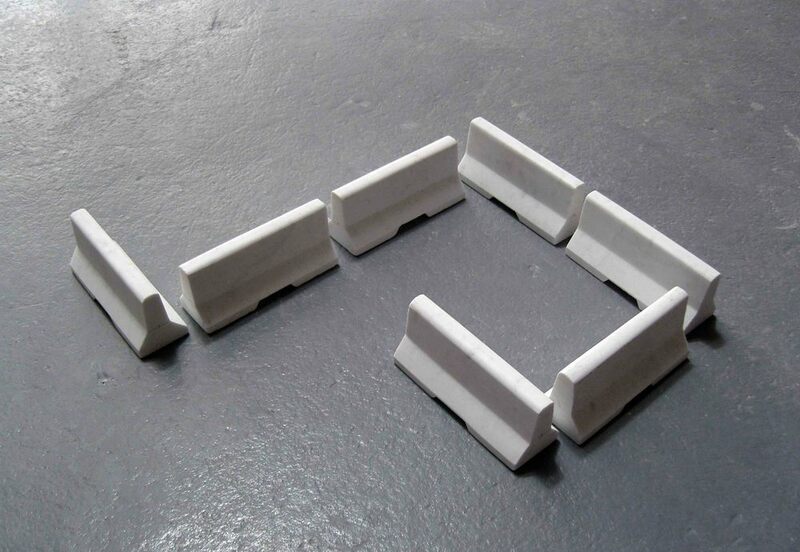 Invitation, 2007, white marble (7 pieces), 7.5x6x17cm each. 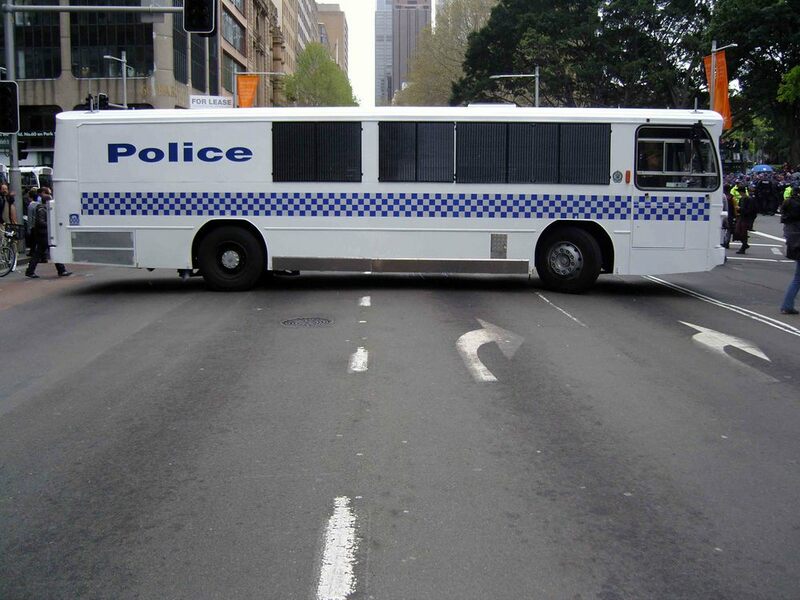 Bus, 2007, pigment on cotton, ed. 3, 61x79cm. Water Canon, 2007, pigment on cotton, ed. 3, 61x79cm. Line Up, 2007, pigment on cotton, ed. 3, 61x79cm. Squad, 2007, pigment on cotton, ed. 3, 61x79cm. Misadventure, 2007, Geclair on cotton (5 pieces), 20x15cm.